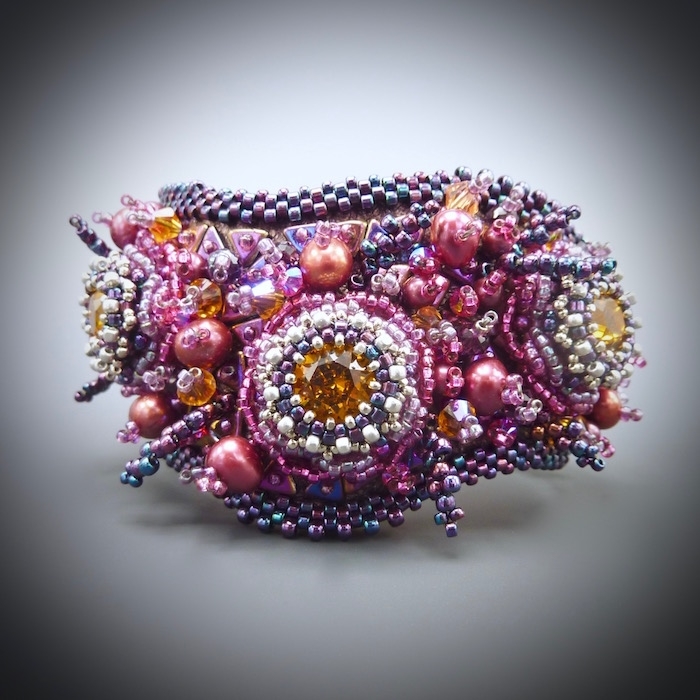 This delicately beaded cuff bracelet is an exploration into the realm of 3-dimensional bead embroidery. 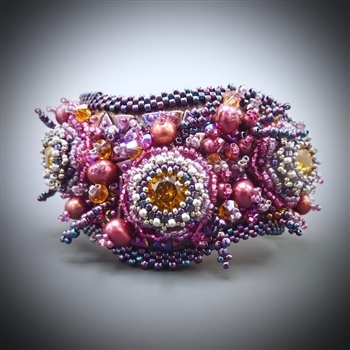 Combination-stitched roses adorn a leather cuff that is further embroidered and embellished. In addition to the 3-D embroidery techniques, you will learn a tidy way to finish off leather bracelets with a beautiful ultra suede backing. Bracelet measures about 1 3/4 inch wide and can be adapted to any size wrist (various sized templates are included with the pattern). Techniques include right-angle weave, peyote stitch, netting and embroidery. Burgundy & pink color way.